Today we said goodbye to one of our favorite cocker spaniels, Ozzie S. He’s pictured here with old pal Lily Jo K. (teacup maltese) and new pal Rosco S. (shih-poo). 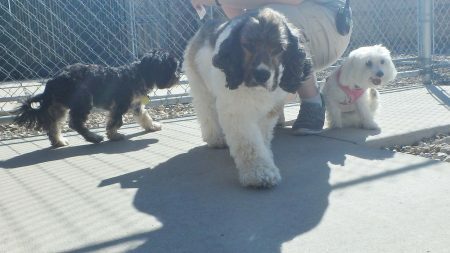 Ozzie won’t be coming to JDPC for regular daycare anymore, but we hope to see him now and then for daycare and boarding. Goodbye, Ozzie! We love you and will miss you a lot! !